Yes, we skipped the entry for Week #29, partly because of my issue with seeing another prime-numbered number of weeks on this project, and partly because very little happened that week — the cabinet-maker adjusted some drawers and installed (but did not electrically connect) the LED under-cabinet lights. 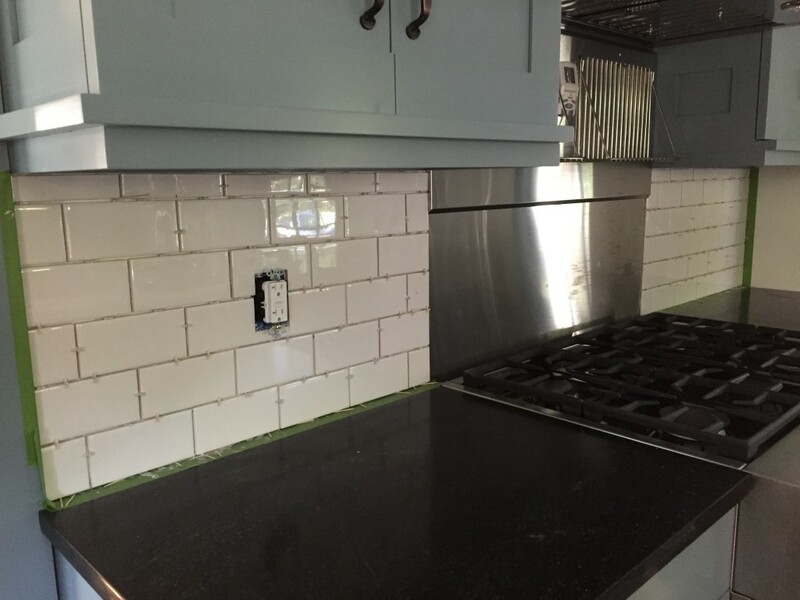 The backsplash tile was installed, but not grouted yet. …and the under-cabinet LED lights were all wired up and verified working. We’re going through final touchup issues with the contractor this week (grouting, replacing the moldings that were removed before the new dining room floor was installed, touchup paint, etc.). These final issues aside, we’re completely living in the new kitchen and dining room, and it’s pretty great. Things are almost complete for real.